The terms adaptation and hypoxia are both widely used but not always with quite the same meanings. Now that it is possible to measure the partial pressure of oxygen in every part of the mammalian organism with a fair degree of accuracy and a high degree of spatial resolution it seems appropriate to define hypoxia as a partial pressure of oxygen significantly lower than that normally found in that part of the organism. 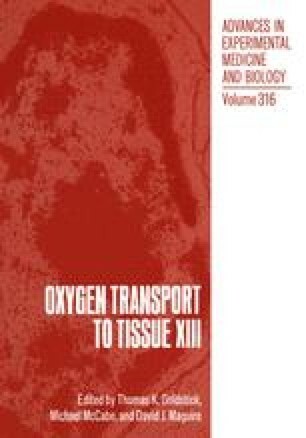 Thus an inspired Po2 of much less than 150 Torr and a Lubbers histogram of tissue oxygen tensions shifted to the left would both be defined as hypoxia.